Schuylkill Canal Association - Schuylkill River Trail Spreekend! 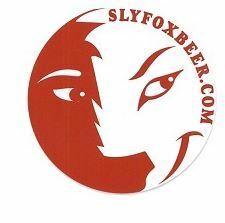 The Schuylkill Canal Association is partnering with The Sly Fox to host the Schuylkill River Trail Spreekend! on Saturday, April 23rd at Saint Michael's Park and Schuylkill Canal Park. We will also be holding our annual Earth Day cleanup at Schuylkill Canal Park on Sunday, April 24th. For Spreekend! attendees who want to stay for the cleanup, we are offering a limited number of camping spaces at St. Mike's for $15. Proceeds go directly to the Schuylkill Canal Association, a 501(c)3 Not for Profit organization that preserves, restores, and maintains the park for hiking, biking, kayaking, and other outdoor recreation. Plan to give to a good cause and register today!